Social media can do great things for your brand. But if you’re using it in the wrong way, it can also do the opposite. Mistakes are what’s keeping you from reaching your true potential on social media, and what’s slowing you down. The first step to avoiding them is to be aware of them. I often come across brands who commit many mistakes without even knowing about it, and simply put: if they’d know they were doing them, they would stop immediately. To minimise risk of failure, and give you every chance of succeeding, I’ll list 5 harmful, yet common social media mistakes that are keeping you from success. Many brands who hop on the social media marketing train expect results to come instantly. Maybe they’ve read a list of social media statistics, or read a case study about a brand successfully implementing social media marketing, and gaining tremendous results from it. Then, they enter social media with the hopes of generating the same results in a short timeframe. But when they don’t achieve their unrealistic goals, they get discouraged and draw the conclusion that social media just doesn’t work or isn’t for them. 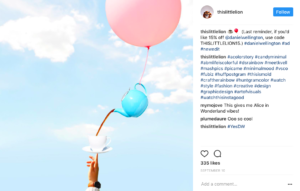 Yes, it is true that you can gain instant traction from social media, but very few brands are able to achieve this, for example by going viral, or getting mentioned by a huge influencer or celebrity. If you have a huge budget for it, expecting fast results is not completely insane, because having money to invest in social media will give you tons of expansion and growth opportunities. However, for most of us, social media results won’t come over night. Success comes to brands who work month after month, year after year with their social strategy. Make sure you are aware of that when you enter social media! If you start with social media, only having a week, or month-long future plan, you can be sure that you will struggle with achieving any results worthwhile. And chances are, you’ll quit before the results starts showing. When you’ve decided to implement social media in your marketing strategy, you need to make sure you use it every day. On social media, it is vital that you are active on the platform and don’t leave your account to dust for a long period of time. If you do, your followers will have forgotten about you, and eventually, you’ll start losing followers because people will think you’ve quit. As a brand, you’ll probably receive customer service questions on social media. And when you do, it is essential that you respond to them in a timely manner. In fact, customers expect brands to respond within 4 hours on social media. But if you are only visiting social media a few times a week, you’ll risk leaving the questions unanswered for a much longer period of time than that, making your customers angry, and sending out signals that you don’t care about them. Among some people, the idea that social media is “something only for the kids” is something that lives on. And as a brand, this is problematic due to the fact that it isn’t true. In fact, some brands put the youngest in their team to manage their social media activity, because “surely, they must know how you use”. Unfortunately, most of the young people don’t. Being used to use social media is far from the same thing as knowing how to use it effectively as a tool to build and market a brand . After all, social media marketing includes laying strategies, planning, campaign setups, and much more. If I would list all the parts that go into a successful social media marketing, we’d be here all day. The bottom line is that if you put the youngest in your team to manage your social media (even if they don’t know more than how you share a post), don’t invest the right resources, don’t have a strong strategy, you are doomed to fail. Just because someone knows how to use social media doesn’t mean they know how to use social media for marketing. Social media marketing is an art, but if you don’t treat it that way, I guarantee you that you won’t see any traction if you use it. Social media is extremely time-consuming. That’s because there are so many parts that go into a successful social presence. When starting out, it’s important that you are aware of that. In most cases, social media isn’t a one man job. For larger corporates, it certainly isn’t a one man job. If you’d have one person do one thing of what is needed for social, you’d have a lot of employees, but luckily, one person can do several things. But they can’t do it all. When the people working with your social media have so much to do that they can’t manage it all, you know you are low on resources.What will only happen then is that the job will get done with a lower quality. Customer service questions might get answered to later than they should, followers aren’t interacted with, and too few campaigns are set up. When this happens, you are limiting yourself from getting results you could be seeing, and therefore, it is necessary that you make sure your team has the right resources, and that the team can manage your social presence in the right way. Only then are you allowing your social presence to flourish. For beginners, social media can be scary. It’s a gigantic world out there with close to 2.5 billion users! It’s okay to be scared, but when your fear is keeping you from doing things on social media just because you’re afraid of the worst case scenario, you’re setting yourself up for failure. Sure, social media failure is not the most fun thing in the world, but by constantly studying and learning the tactics, tricks, and rules of social media, you are minimising the risk of failure and increasing the chance of success. There are a lot of mistakes lurking around every corner on social media. If you aren’t aware of their existence, it is very hard to stay away from them, and step onto a mine that is hidden across the path to social media success. To make sure you are avoiding the mistakes that are slowing you down, it’s important to stay up to date with the latest information and tactics. Have you committed any social media mistakes? What where they and what was the consequences?